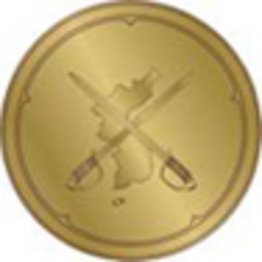 “The Office of Personnel Management (OPM) would like to remind Federal agencies that anyone in receipt of the Global War on Terrorism Expeditionary Medal (for service in Operation Enduring Freedom), Iraq Campaign Medal, Afghanistan Medal, or the Korea Defense Service Medal is entitled to veterans’ preference if otherwise eligible. Veterans’ preference is authorized under 5 U.S.C. 2108 for individuals who served on active duty, under honorable conditions in a campaign or expedition for which a campaign medal has been authorized. Any Armed Forces Expeditionary medal or campaign badge qualifies for preference. Medal holders must have served continuously for 24 months or the full period called or ordered to active duty. Employees who wish to claim veterans’ preference or service credit based on receipt of these medals should submit official documentation showing the award of the appropriate medal to their Human Resources Office. Notice: When The DMZ War visits the sites below, we sometimes get a security warning on our browser. But these are the official Army and Air Force sites. It appears the military does not have some sort of certificate your browser may want.